I love when I open my inbox and have a survey from Influenster saying I might be the right fit for their next VoxBox. And it's even more excited if I get a follow on email, saying to check my mailbox, because I'm getting a free VoxBox. 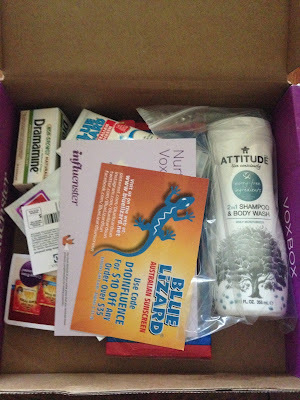 I was lucky enough to get the Nurture VoxBox this month. Influenster posted a spoiler video of what would be included in the box, so of course I had to check it out. Even though, I knew exactly what I'd be getting I was happy when the box finally arrived and I could see everything in person. 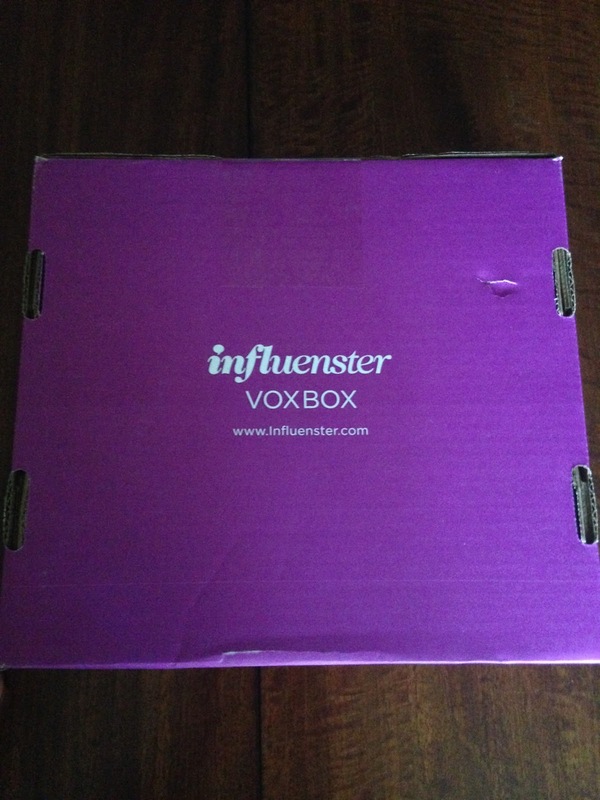 If you're not familiar with Influenster, anyone can join the program and receive free boxes to review products! 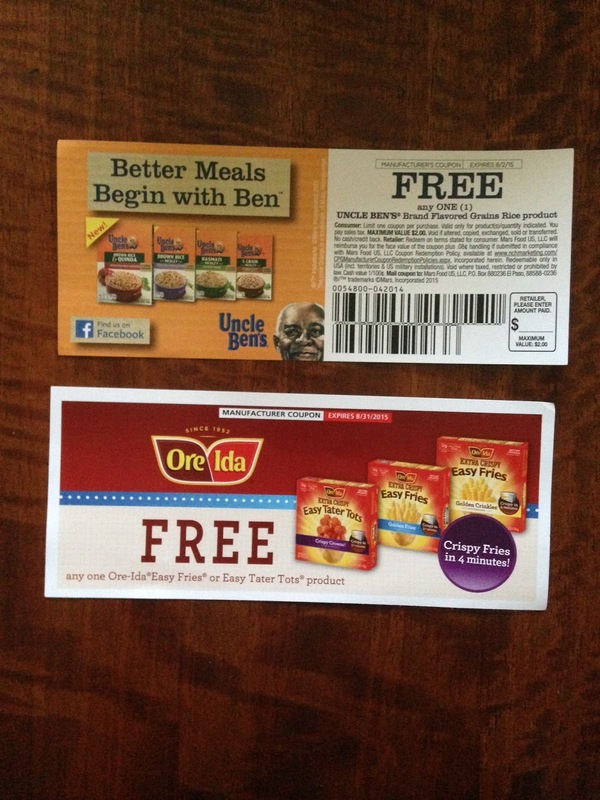 You fill out surveys and do other tasks to qualify for boxes that match your preferences. It's a great program! 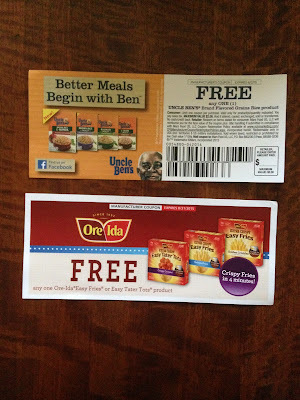 Seriously, who doesn't love free stuff?!? 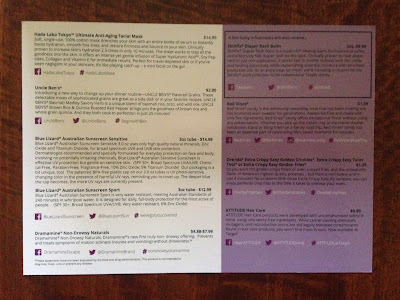 Here is a first peek into the box. 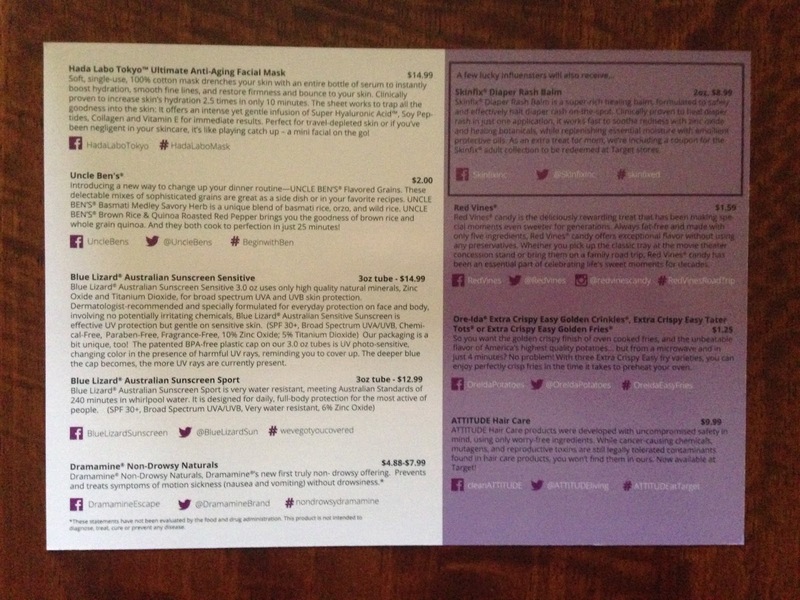 And here is everything laid out, so you can see everything I received! 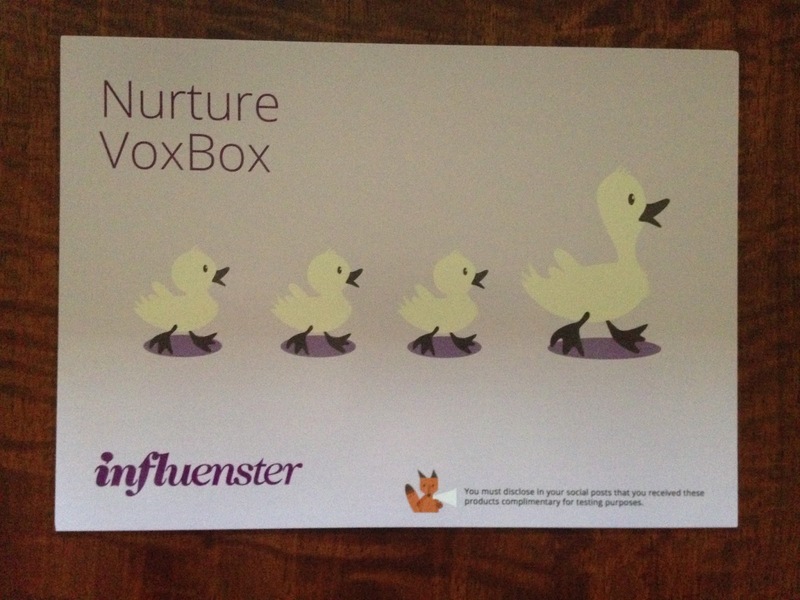 The Nurture VoxBox also included an information card explaining everything in the box. The item I was most excited to try was Blue Lizard Australian Sunscreen (Sensitive). Retail Price $14.99 for 3oz tube. 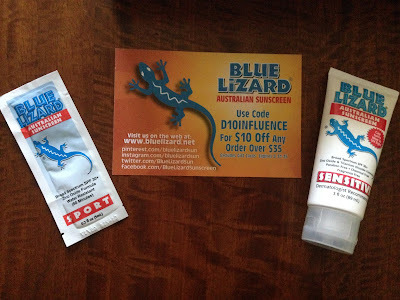 I also received a sample of Blue Lizard Australian Sunscreen (Sport). When I heard about this I was very excited, but I misunderstood the color changing aspect of this sunscreen. 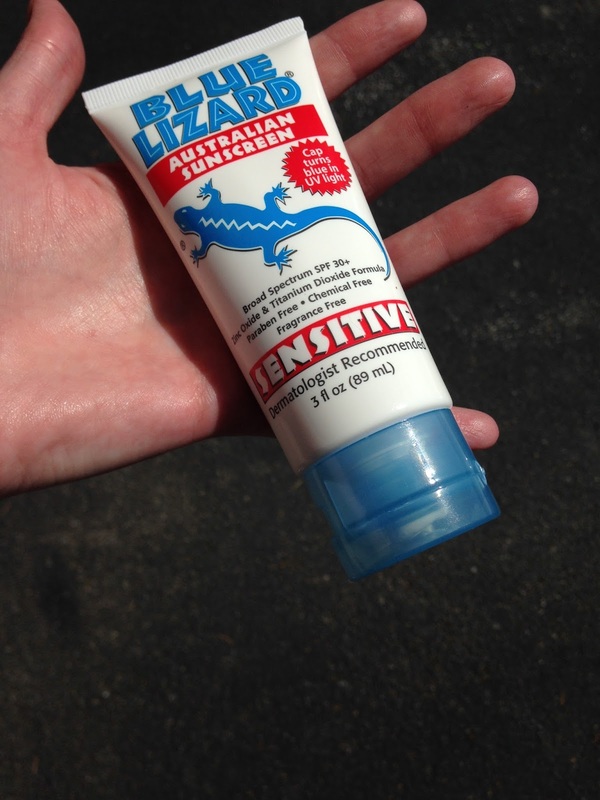 I thought when you applied this sunscreen it changed blue when it was wearing off, alerting you to re-apply. I was so happy about that because it would be perfect for my 2 year old daughter. 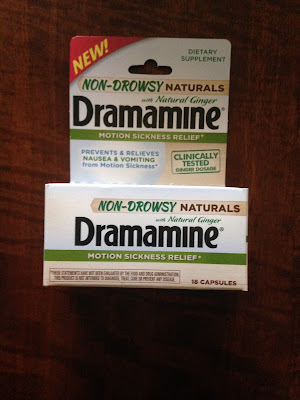 Well, turns out that is not what this product does. The cap of the sunscreen turns blue when there are UV rays and the darker it gets the more UV rays there are. Now, I guess that makes more sense and is still a great indicator of when you really need to slather on the sunscreen. This sunscreen works great and is not greasy. It blends in nicely, leaving no white film. Even though it didn't live up to my color changing expectations, I'm still very happy this was included in the box. The above picture was taken inside with no UV rays present and the following picture was taken outside in bright sunlight. You can see how blue the cap is. I also took it outside later in the evening to see if the cap would be less blue and it was a very faint shade of blue (I didn't take a picture of that though). The RedVines were my daughter's favorite thing in the box. They are exactly her type of treat. Yummy and gummy! 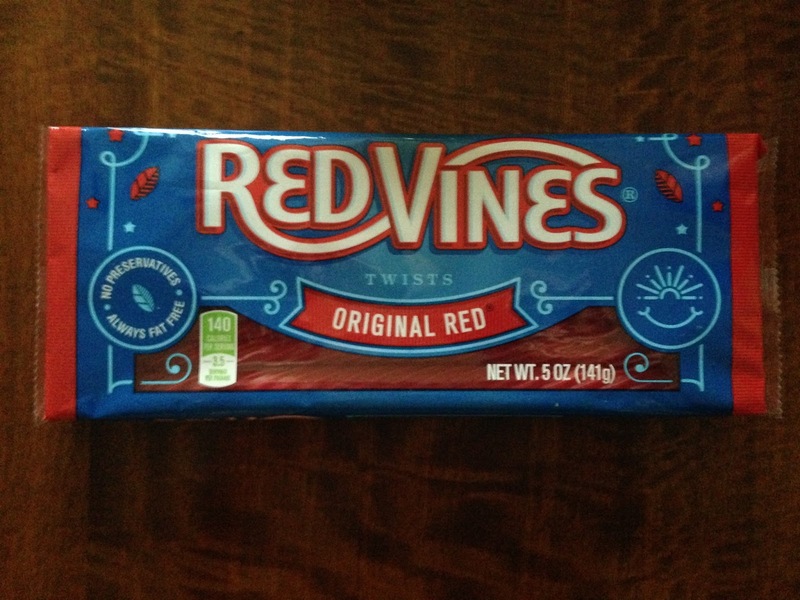 I'd never tried this brand before, but they were very similar to twizzlers. Different but still tasted great! They are softer and have a hallow center. These would make a fun straw for kiddos! 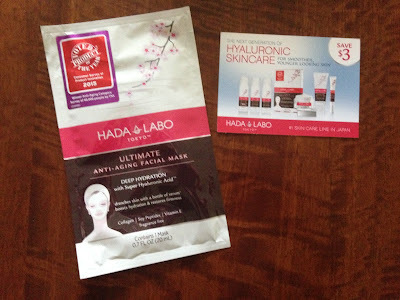 The Hada Labo Tokyo Ultimate Anti-Aging Facial Mask was a great treat for me! It felt so nice on my skin. It was really refreshing and didn't feel heavy or irritating. The mask was drenched in serum and even after I took the mask off (after 15 minutes) my skin had more than enough serum on it. I padded the extra serum into my skin after the mask was off, as instructed. It kind of feels like too much for my skin, but is not irritating, so I will leave it and hopefully wake up with flawless skin, haha. 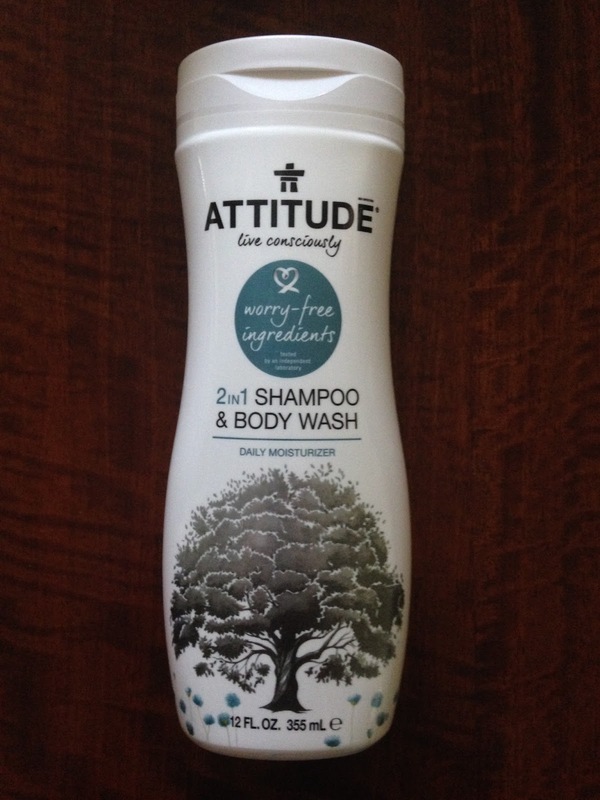 Obviously, I'm not expecting a miracle, but I will probably buy more of these because my skin feels great now! 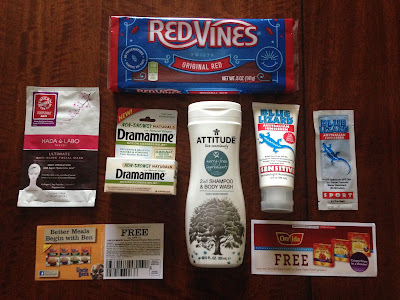 This was a fun box to review! The Nurture VoxBox included products I will definitely use, and I never complain about free anything, haha. 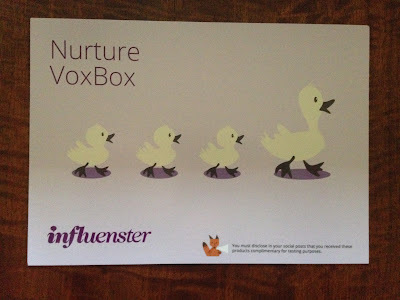 I can't wait to be considered for more VoxBoxes.